Big Boi Collaborating with Kate Bush? It's well known that Outkast's Big Boi has wanted to collaborate with ethereal British songstress Kate Bush for quite some time now. Last September we reported that the rapper was trying to work something out with the elusive singer, stating: "The only collaboration that I really want on my record is with Kate Bush." He continued to explain: "She's got a new album coming out in November, so I've got my management team and record company, I've got little babies and squirrels looking for her. That's the only thing that I want to happen right now. She's an all around artist -- producer, songwriter, performer." Well it seems that the, uh, little babies and squirrels have got Big Boi one step closer to making his dream collaboration a reality. Last night, he tweeted: "Just Got off the Phone with Kate Bush !!!!!!!!!!!!!!! !," which was followed by: "Stay Tuned..... ooooowwww !" Like he said, we'll have to stay tuned, but if a collaboration is in the works, we may have some seriously awesome music to look forward to. Big Boi's Vicious Lies and Dangerous Rumours is set to drop on November 13, but if that's not exciting enough, he has a line of designer socks on the way too. UPDATE: According to an interview with MTV Canada, Big Boi has added Passion Pit to his impressive roster of collaborators as well. 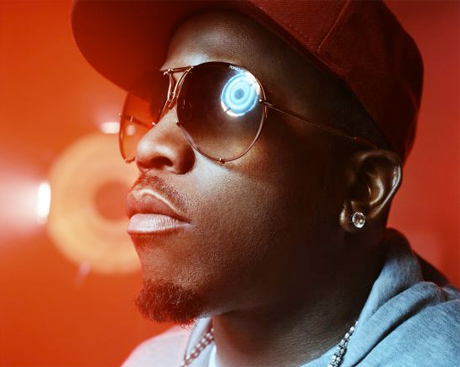 Check out the clip below to hear Big Boi talk about his recent work with Little Dragon and Phantogram before revealing that he recently "hooked-up with the drummer and producer from Passion Pit."